Every now and agan I'll get someone to go with me while I crawl through the damp autumn leaves in search of small fungus to photograph. This time Robbert came with me, and took a few photos of his own. The storm clouds were getting pretty thick overhead, so the photos are not as great as I'd like.... but there's still a few good ones. The mushrooms just aren't growing this year, Robbert warned me. True enough in the city - the rains came late and were followed too quickly by the cold. 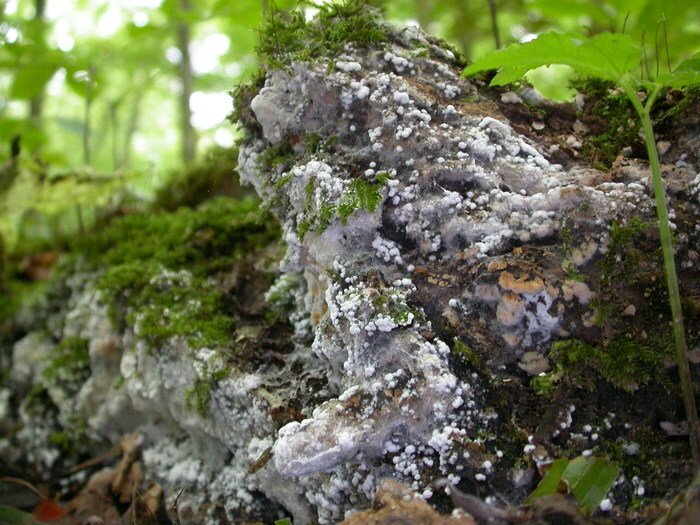 In the forest, though, the trees moderate the environment, and the mycorrhizal fungi are doing just fine. 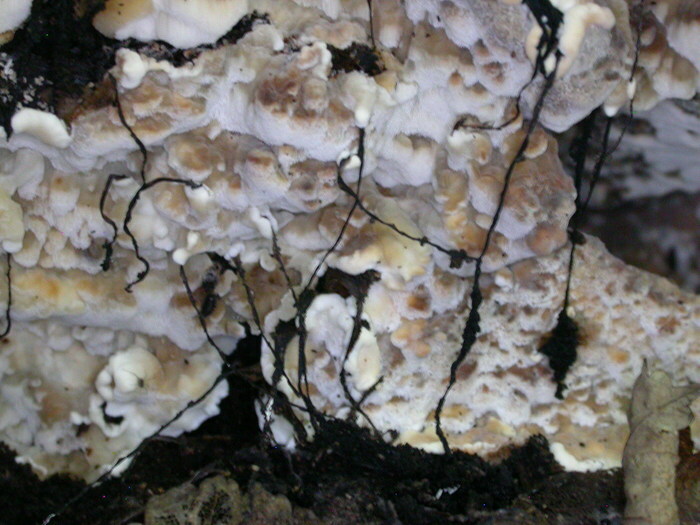 As are the parasitic fungi. I would identify this as a honey mushroom, but the Dutch mushroom book I have lists Armillaria mellea as growing on voedselrijk grond (rich dirt). Odd. 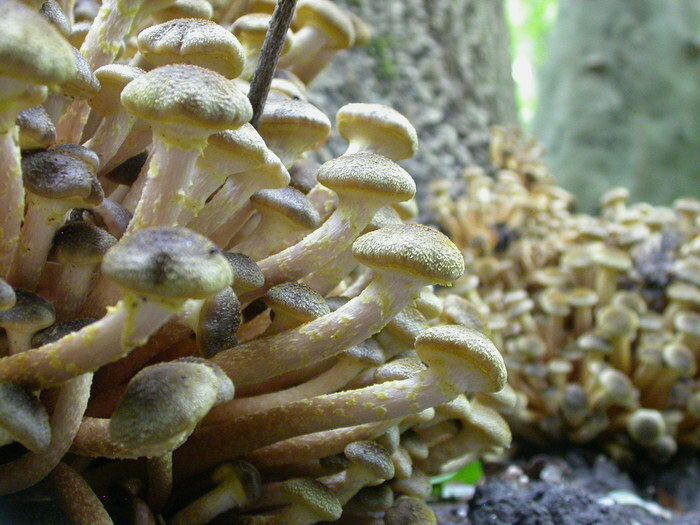 The yellowish scales on the stalk would be a bit odd for honey mushrooms as well. 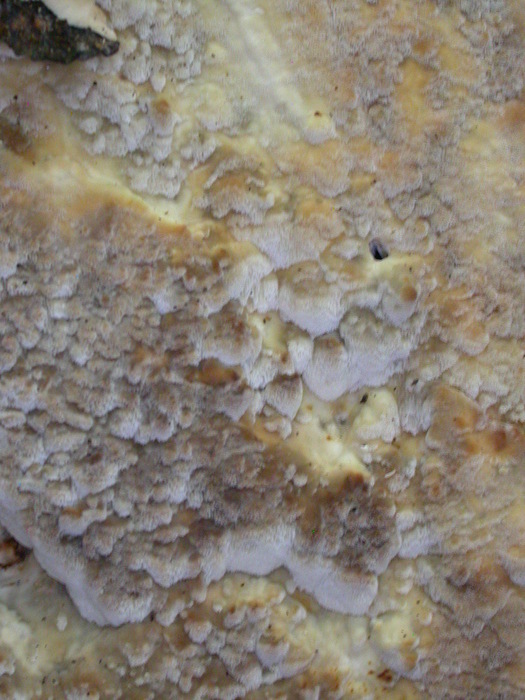 These could also be a particularly dry knd of Pholiota. 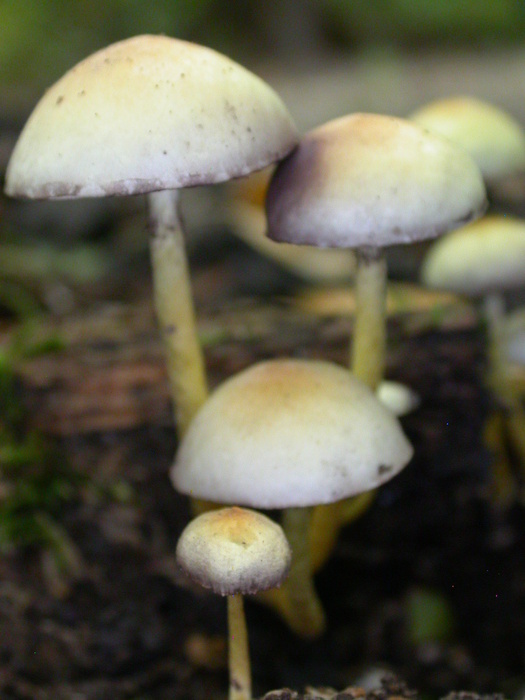 This pretty little group belongs to the Hypholoma fasiculare species complex. There are 3 very similar species that occur in this group, of the H. fasiculare is the most common and the most likely to cause the loss of your lunch if you mistakenly eat it, thinking it is one of the other two. Personally I just photograph them. In the dim light of the forest they are nearly luminescent, reflecting the thin light like thousands of tiny moons. 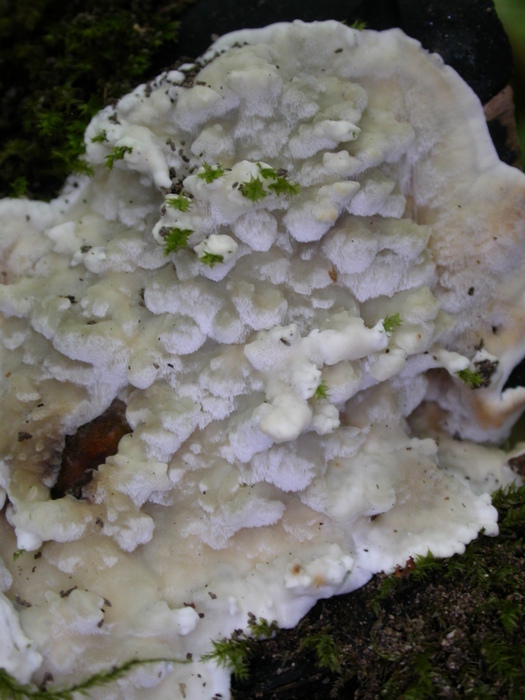 This white, waxy-looking stuff is probably the beginning of a polypore of some kind, perhaps in the Spongioporus ( kaaszwam or cheese mushroom genus) or maybe Ustulina. The world will probably never know, and largely will never care. Appreciate it for what it is: a glimmer of white in amid the grays and greens. I haven't been able to ID this gray, scruffy-looking fungus. 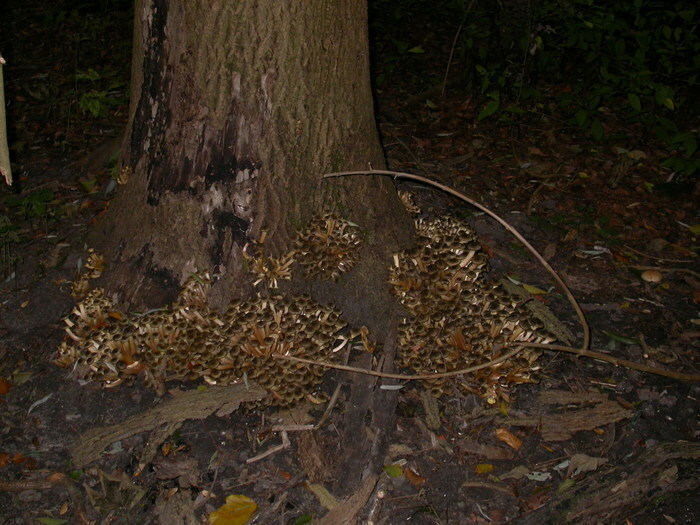 Most of what I know about it is obvious from this picture: it was growing in clusters, on very rotten wood. The caps all had the same fibrillous appearence that the young caps in this photo do. The older caps had denser and darker fibrils in the center, forming a little island of mottled ocre brown. 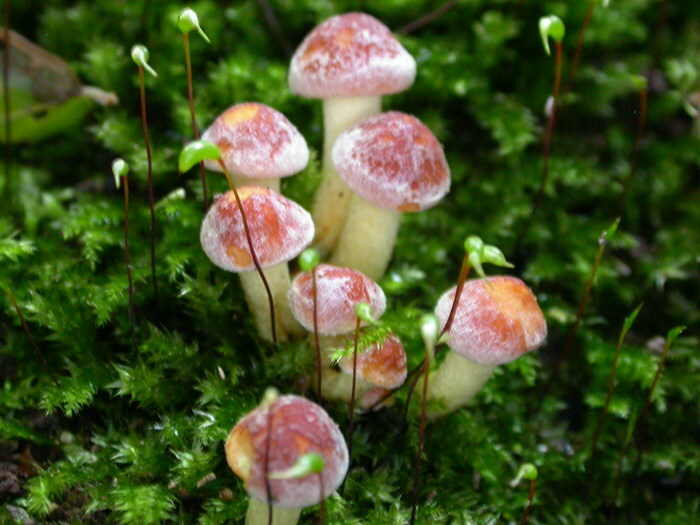 Note that the chewed-through cap on the lower right has pinkish stains, while the fibrils on some of the caps look almost blue. 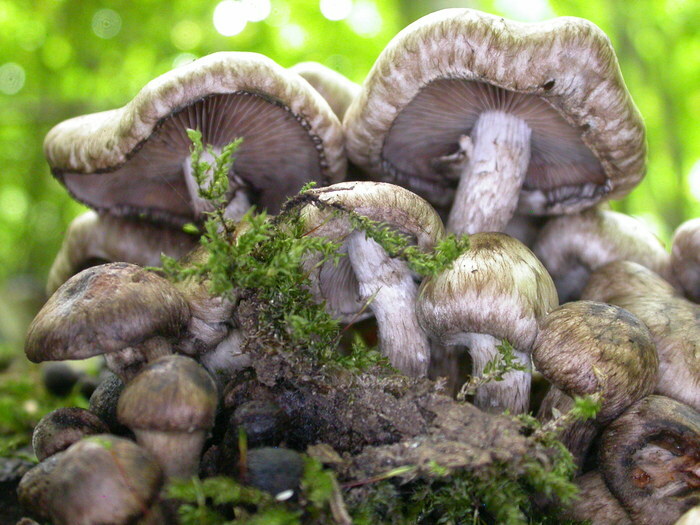 Agaricus and parasols don't grow on wood, and its gills are much too dark to be a Tricholoma or Lentinus (not to mention Lentinus have very decurrent gills). Their size was unrelentingly medium: about the size of silver dollars or Dutch coffee cups. This, and the next two, are really just texture shots. They look almost like cave formations. The brown ones I would call turkey tails, the Dutch would call it an elfenbanje ( little elf couch ), the yellow ones we could agree are more Hypholomas. I think they make a rather nice composition, especially since it was getting quite dark and difficult to take pictures that aren't blurry. 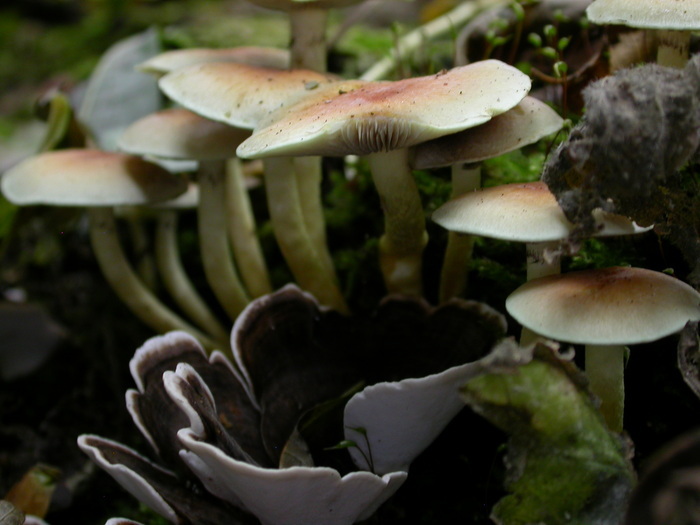 Given the positively luminescent color of these Hypholomas, they are probably Hypholoma sublateritium rather than fasiculare. Life is full of mystery, this is destined to remain one of them. To keep things in perspective, that is moss in this picture.